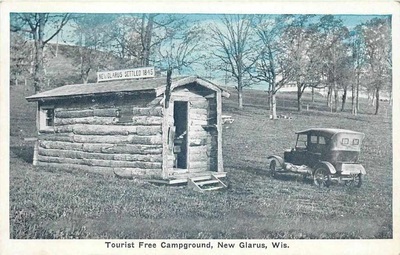 The town of New Glarus is the second in the northern tier of Green County, beginning form the west. It is bounded on the north by the town of Primrose, Dane county; on the east by the town of Exeter; on the south by the town of Washington; and on the west by the town of York. Several squatters were in the neighborhood, their names being: ARMSTONG, GREENWOOD, SLATER, MORLEY, BRITTON, HARVEY, LEMON. In 1884 there were three cemeteries in the town of New Glarus. the oldest one is adjoining the church of the colonists. The grounds forming this quaint church yard, becoming filled with the dead of the congregation, a new cemetery was laid out about eight rods west of the village, which is well cared for. The grounds are dotted with memorial monuments for it is the universal custom of the people to mark the graves of the dead. The third cemetery is located on the same road, about half a mile from the village, and belongs to the German Evangelical society. It is neatly arranged. The first birth in new colony was the of Thomas, son of Mathias and Katrina SCHMID the date being 12 Dec. 1845. The first death was that of a young son of Mathias and Katrina SCHMID's. No dates are given but presumed to be before 1845. Among the first marriages in town was that of Henry ALBLY and Mary BECKER on 26 Oct. 1847. 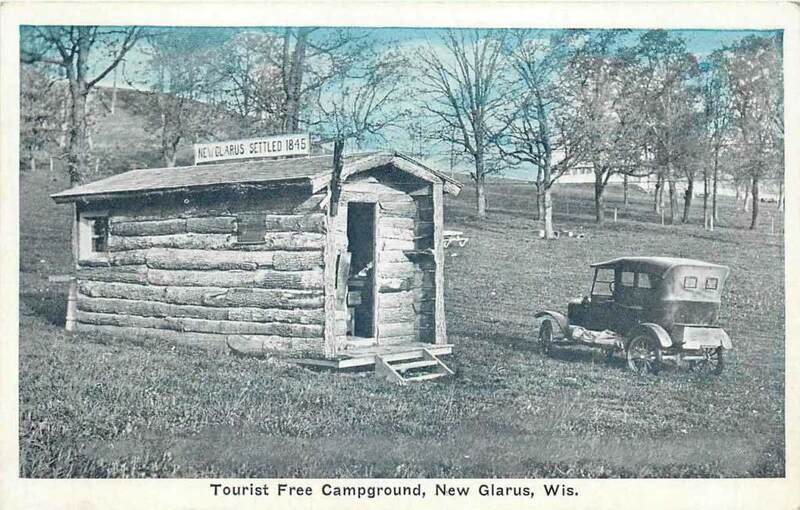 The town of New Glarus was organized in April 1850, prior to which, the settlement had been generally known as the Swiss colony, but to those in Switzerland as New Glarus. The territory comprising it has bee hitherto attached, for all civil purposes, to the adjoining town of York. Swiss cheese was made by many farmers as early as 1854, and much of an excellent quality was sold, but dairy cheese making has given way to the factory system. The first cheese factory was est. in 1870. Three-forths of the cheese made is Limburger and is said to pay the maker better than any other variety. Extracted form the "History of Green County, Wisconsin" published by Union Publishing Company, Springfield, Ill. 1884; page 639 and 1023.